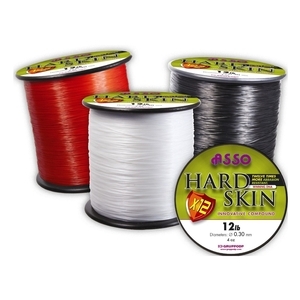 Asso Hard Skin Mono - 4oz Spool. 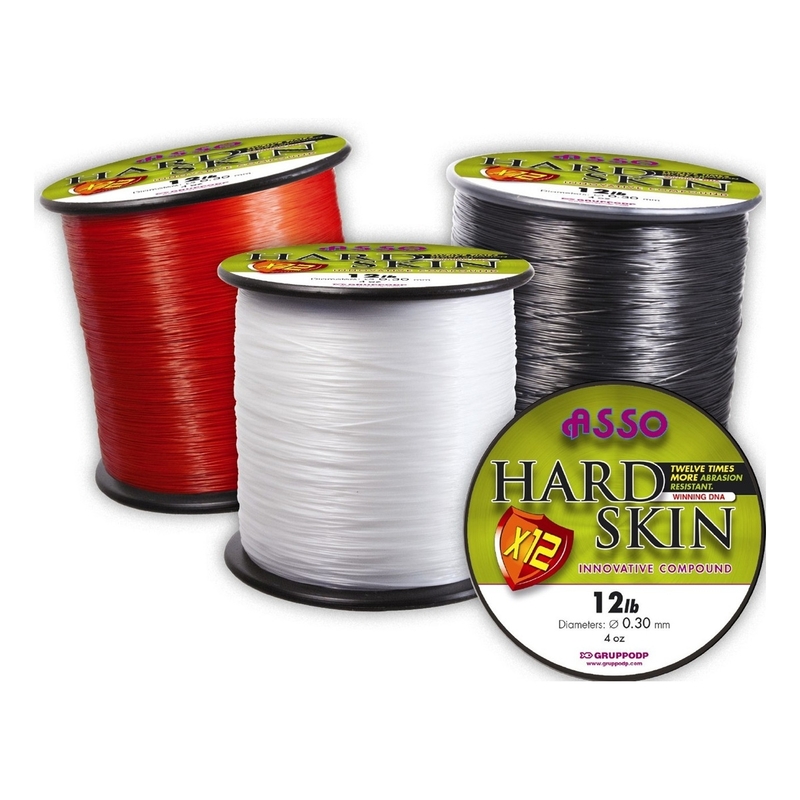 Asso Hard skin is our best selling copolymer, its amazing strength, suppleness and abrasion resistance coupled with the fact it casts brilliantly has been noticed by lots of sea and carp anglers. Hard Skin has a special coating which makes it 12 times more abrasion resistant, this means it’s the perfect choice in any tough situation, fishing in lots of weed or debris, fishing venues where your getting tangled with other anglers or fishing rough days when line is getting battered by the surf. Thin and supple for the breaking strain.